On Friday, September 14th, the faithful gathered to celebrate the Exaltation of the Precious and Life-Giving Cross. 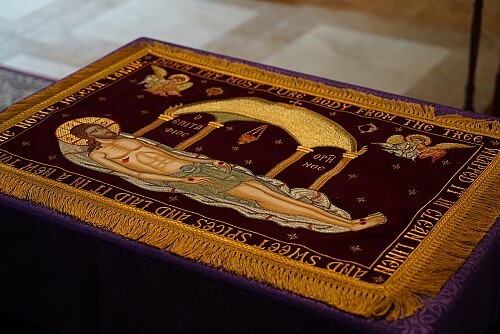 The Feast commemorates the finding of the True Cross of our Lord and Savior Jesus Christ by Saint Helen, the mother of the saintly Emperor Constantine. On this feast, we also celebrated Protopresbyter Daniel Hubiak's 66th anniversary of ordination to the Holy Priesthood. 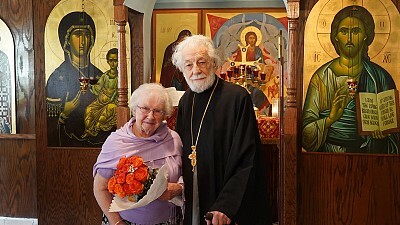 May the Lord grant him and Matushka Dunia many more blessed years of service to the Holy Church!